Data will be collected and handled according to Recommendation number 2/2001, adopted on May 17, 2001 by the European Authorities for the protection of personal data, in order to identify common minimum requirements for on- line collection of personal data within the European Union. Also, this Recommendation supplies added information on the subject, according to Article 13 of Law Decree dated June 30, 2003, number 196 – Codex, in the matter of personal data protection. 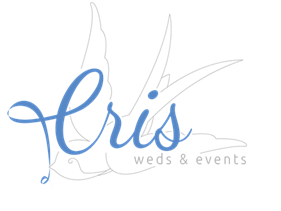 Weds & Events by Cris,Via Campalton, 4 – 30173 Campalto – VE – P. IVA 04315300279 – C.F. BLTCST82E59L736E, has Ownership of Personal Data Handling. Whenever necessary, as per Law Decree 196/2003, Cristiana will request the user or the interested party for their approval before proceeding with data handling. During operations, information systems and procedures connected with the Cristiana website collect some personal data about the User. It is navigation data connected with the technical use of the site, which allow the registered user to access the services that are offered. This information is given compulsorily. This type of information allows the identification the user or the interested party. In this category of data we find name, surname and e-mail address. Cristiana declares its commitment to keep and control all data automatically gathered by the site or voluntarily supplied by the User in such a manner and with such measures as to reduce to the minimum all risks relating to destruction, loss, unauthorized access, not permitted or inappropriate handling of said data for objectives that are inconsistent with the original purpose of their collection. The site uses exclusively technical cookies, that are used to make browsing or to provide a service requested by the user. So they are not used for other purposes and are normally installed by the owner of the website. No personal user data is acquired and stored by the website for commercial/personal communications sending.